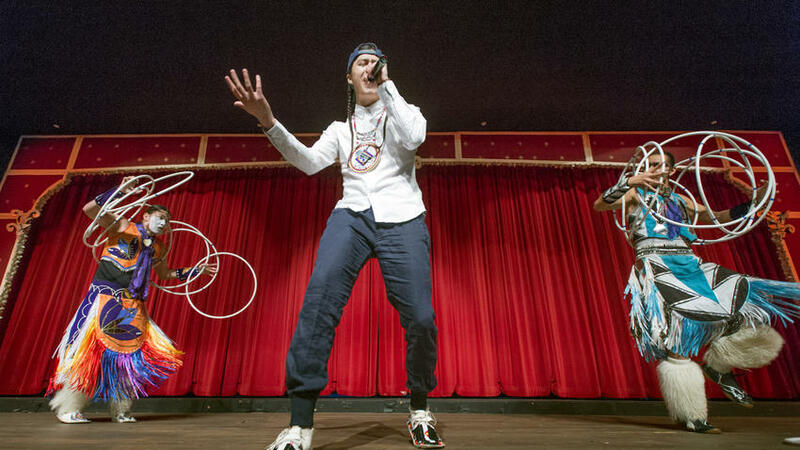 Waln has made a name for himself beyond his community on the Rosebud Reservation in South Dakota, melding traditional Lakota and modern hip-hop sounds on songs that oscillate between hard hooks dissing colonialism to emotional odes to the women who raised him. 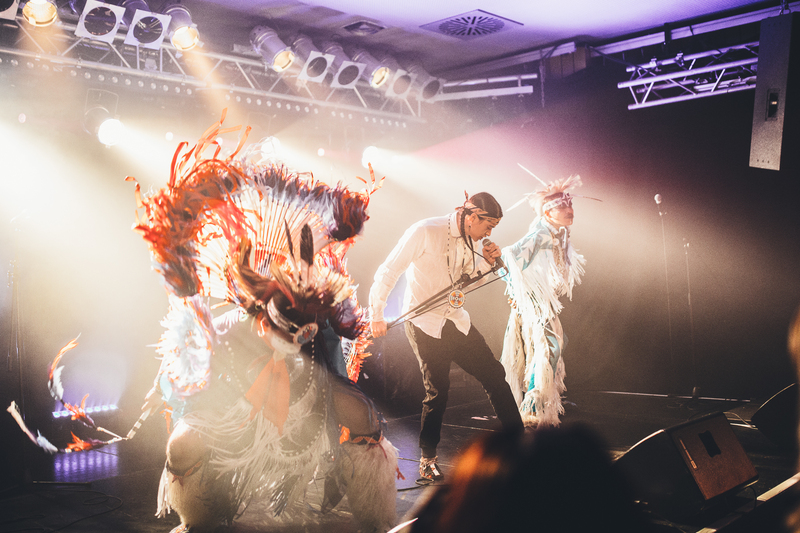 But “7” surpasses the novel sounds and hard-hitting lyricism of Waln’s creative past — it digs a searing, unforgiving hook into the fabric of our nation’s fairytale, setting the records straight with an anger only the indigenous know. “7” opens with indigenous poet and singer Tanaya Winder sharing a segment of her chilling poetry, her words illuminating the Native condition over an atmospheric voice distortion that’s grounded in a resounding heartbeat. 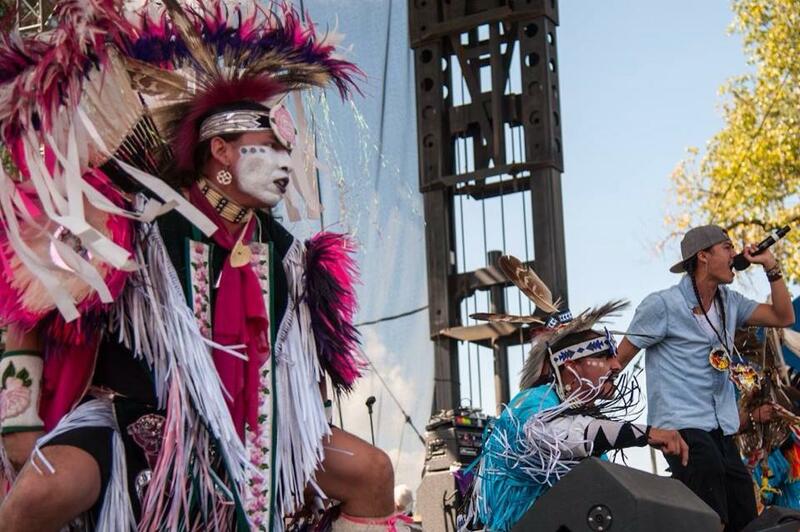 As the beat drops, Waln’s delivery is caustic yet filled with intention, detailing Native history, contemporary issues such as missing and murdered indigenous women, and his own personal journey. The track ends with an elder from the Rosebud Reservation saying a prayer for the indigenous youth in their Native language. 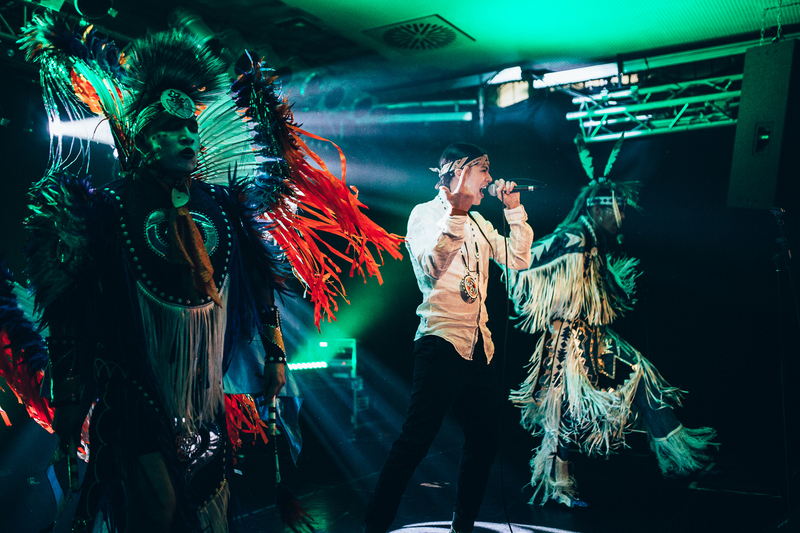 The FADER caught up with Frank Waln about “7” and its promise as the anthem for the rise of an indigenous generation who are sick and tired of systematic abuse. Indigenous Peoples’ Day is a holiday dedicated to honoring Native cultures and resilience. How does this song accomplish that for you? 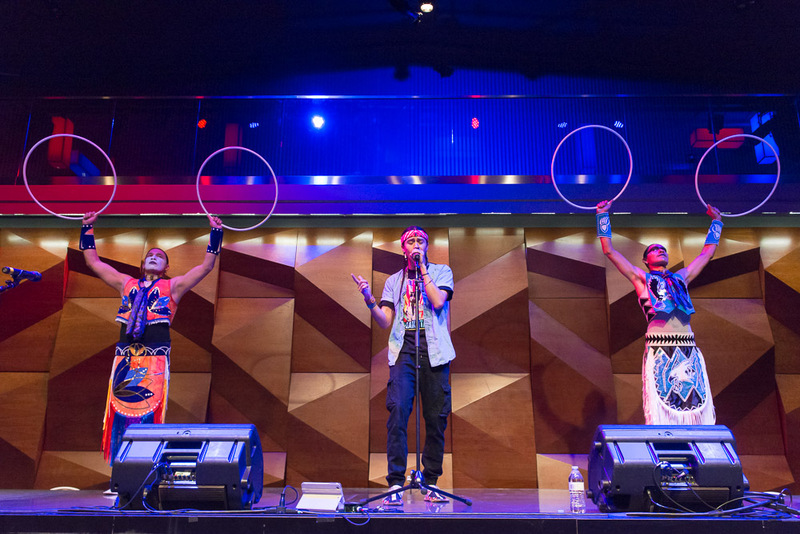 This song is about not forgetting who we are and where we come from as indigenous people. Colonization attempted to, and continues to, destroy our cultures, languages, land, and everything that makes us indigenous. Our ceremonies and cultures were illegal under U.S. law from 1883-1978. In every indigenous community I visit, including my own home, I see young indigenous people speaking their language, singing their songs, and bringing back the ceremonies. 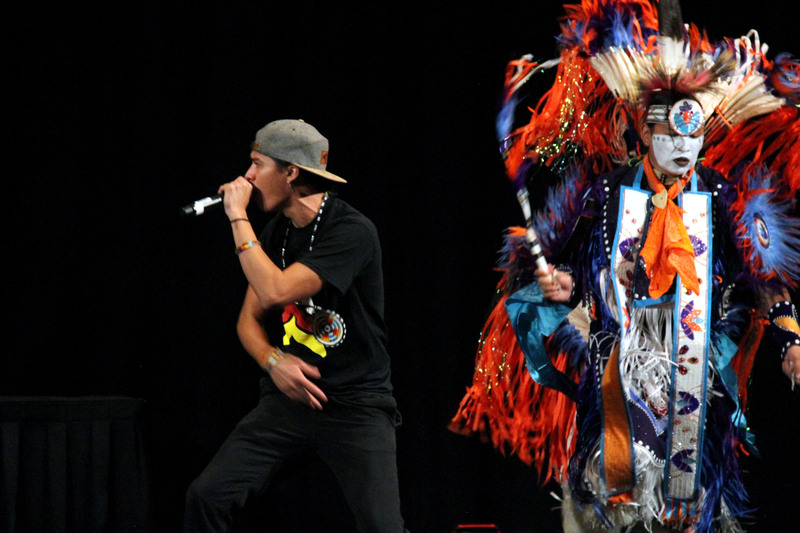 I see language and cultural revitalization programs all throughout Indian Country. This is all despite the continued colonization of our homelands, communities and bodies. The pain is deep but our resilience and unity is deeper. I wanted to capture all of that in this song. I feel the trauma everyday. I see people disrespect our cultures everyday. I see people erase our histories everyday. A lot of young indigenous people I meet feel the same way. 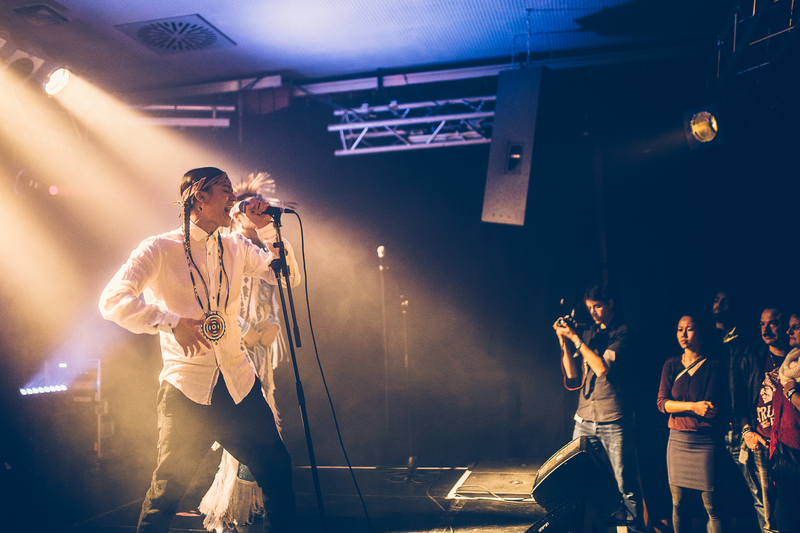 This song is for all the young indigenous people who are hurt, hopeful and pissed off. We survived genocide. It’s time to start talking about it. There’s a rawness and grit to this song’s sound that’s not found in your earlier songs. What influenced this creative decision for you as a producer? I’ve grown so much as a producer, engineer, artist, and human in the last year and half. Because I record and mix my own music as well as produce it, I can really bring my ideas into full fruition from the ground up. I brought that grit and rawness out when I mixed the track too. I broke down crying at the end of the song when I was tracking it. It was painful but I decided to leave it in at the end. A Lakota elder from my home community is praying for healing for Native youth at the end while I cry. This represents the pain and historical trauma we feel everyday and also represents how I found healing in ceremony. I included the voice of Indigenous poet Tanaya Winder because I believe Indigenous women will lead us down this path of decolonization and healing. Tanaya’s voice is the guiding light. 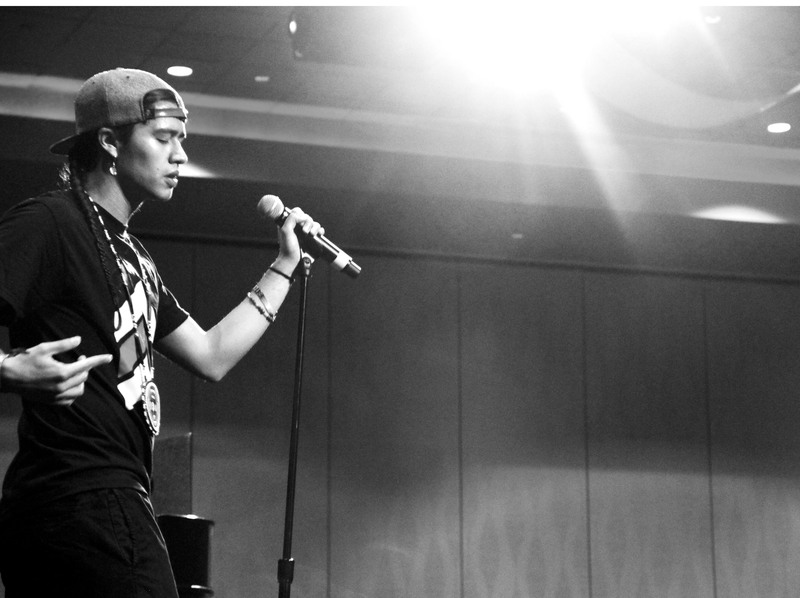 I’m a Lakota from the rez so I produce, engineer and write songs like [the rez]. On the track, you rap, My fam suffer/ The land suffers/ I hate the silence. What do you mean by silence? I’m talking about the silencing of indigenous voices in the discourse of justice in America. I’m talking about the erasure of indigenous people in the way history is taught in this country and people silencing us by pretending we don’t exist anymore. Our families are suffering, our land is being destroyed, and Americans turn a blind eye to it because that’s what settler colonialism has taught us all to do. 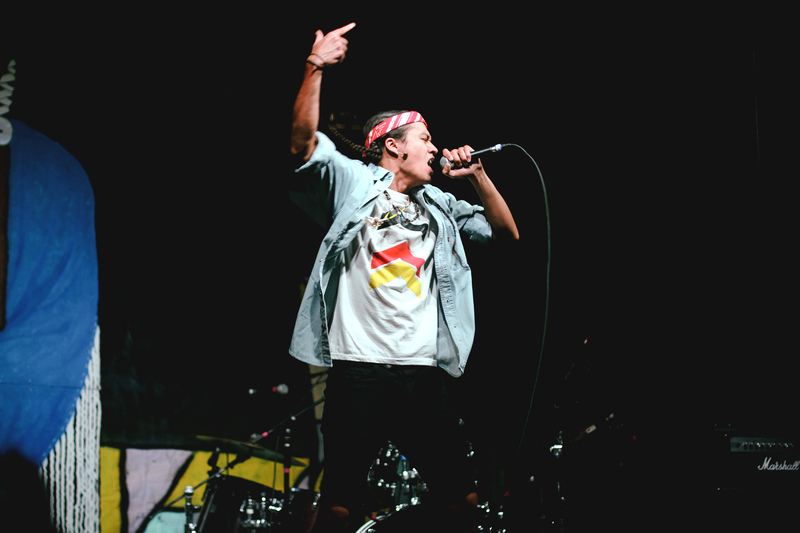 The 7th generation is a motif in a lot of contemporary Native American music and activism. Can you explain what the 7th generation prophecy is and what it means to you as a Lakota musician? There are various interpretations of the story, so I tell the interpretation that was taught to me. Seven generations ago, a prophecy came to the Lakota people in ceremony. This prophecy foretold of the genocide and atrocities our people would face. This prophecy said that the generation 7 generations down the line will suffer the most from the genocide and atrocities. However, Lakota culture teaches us about balance. There’s always light to balance the dark. The 7th generation will also be the generation that will come together, heal our communities, and bring back our cultures. We also view generations from a non-western perspective. Everyone alive right now is a part of the 7th generation. We are all a part of that prophecy. As an indigenous artist, remembering this prophecy, remembering who we are and where we come from keeps me grounded and on the right path. It’s not easy being indigenous in a country built on the dehumanization and genocide of your people, but I know we are standing on the shoulders of thousands of our ancestors who passed on their resilience and ingenuity to us. 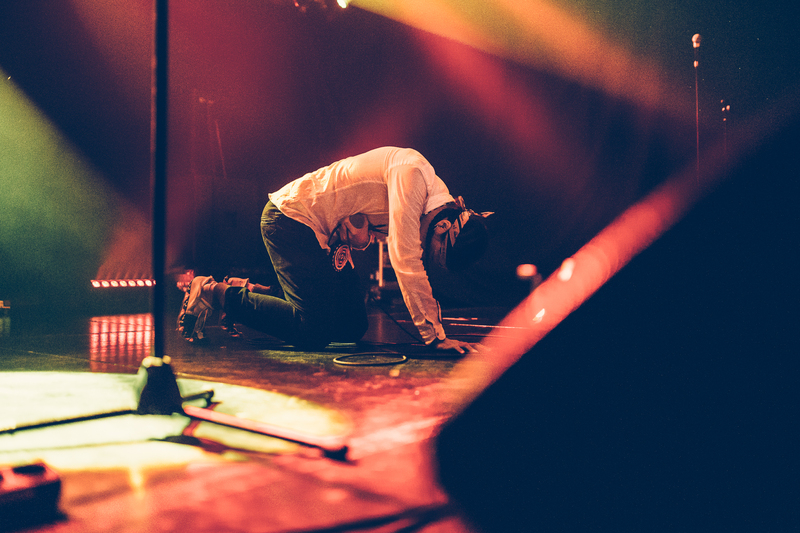 We are a living, breathing prophecy. We are the answers to our ancestors’ prayers. We are the 7th generation.